I've never been a sucker for foundation primers as I tend to feel that the final outcome makes my skin feel to thick. I'm currently using Revlon PhotoReady Colour Stay foundation so hoped this would compliment the foundation. Primers offer a more smooth and even final outcome once foundation and concealer has been applied. They also come in various different types to suit different sins. 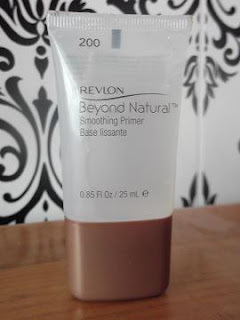 I found Revlon's Beyond Natural Smoothing Primer in Boots for £7.99 in a 25ml tube (which is barely anything but hey, I wanted to try it out!) and I've found another product I can now include within my regular daily make-up bag. I use a tiny amount around open pore areas (my cheeks, head and nose) so a more closed pore look is made. If I'm 100% honest, it didn't make much of a difference to the appearance of my pores, they were still the same size close up but the finished look more than made up for it. It's a really small tube for £7.99 but I've found that the product is worth while. Although it doesn't do exactly what it promises on the label, it is still a good starting primer. I can't wait to try the GOSH foundation primer that everyone is raving about. However, the Revlon primer is a thick gel texture which sounds awful but is in fact so lovely and moisturising. You apply if after your regular moisturiser, and if like me you suffer with combination skin, it can make you feel a bit too greasy, especially around the T-Zone. 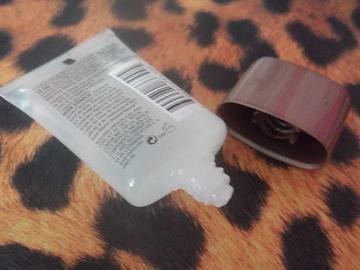 For this I try and use an oil-free day moisturiser from Salon Systems. Beyond Natural primer promises to 'eliminate excess oil from beneath the skin' however I don't think a product costing £7.99 could quite be that much of a miracle worker! I noticed a difference in how my make-up looked and felt, so I think I'd repurchase the same product. Have you tried any foundation primers? What would you recommend? I have tried a MAC one which is pretty good, not tried this Revlon one yet!